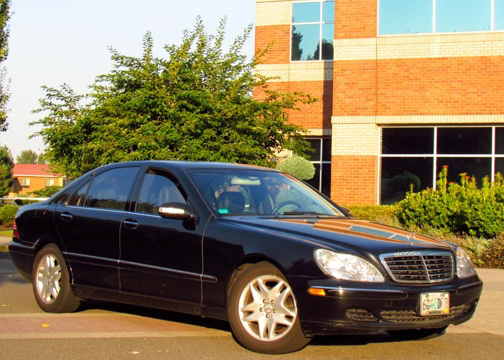 All of our sedans at Portland Black Car are long wheel based vehicles with the luxury amenities you would expect from a high end Black Car service. 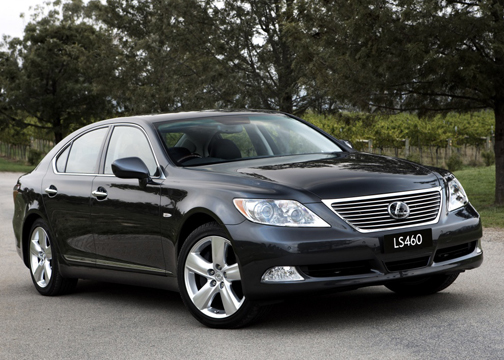 Our vehicles are professionally maintained mechanically and cosmetically to ensure worry free travel in style. 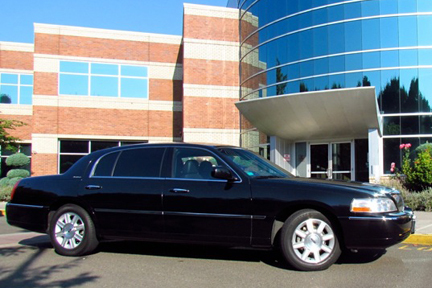 Our sedans can accommodate up to 4 passengers with a light amount of luggage. 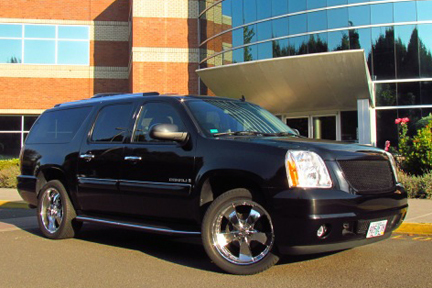 If you have more than 4 passengers, or a large amount of luggage, consider booking one of our GMC Yukon XL Denali. 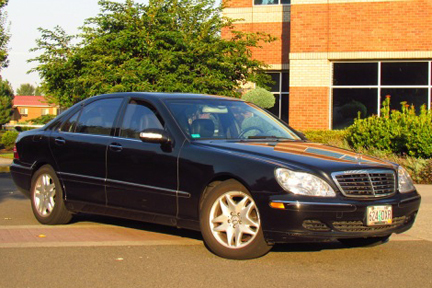 Extra amenities include Direct TV satellite system with multiple screens for easy viewing, Ipod plug in for playing custom playlists, and individual controls in the rear for added comfort. 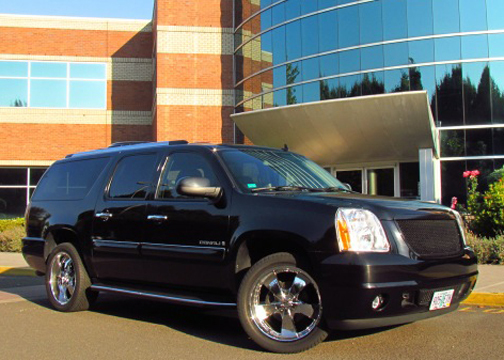 These full size SUV’s can accommodate up to 7 passengers with luggage. 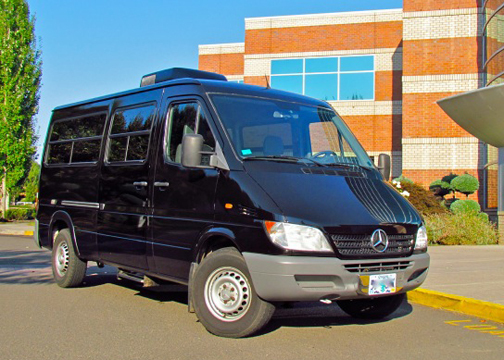 What makes our Mercedes Sprinter van a “Eco Limo”? 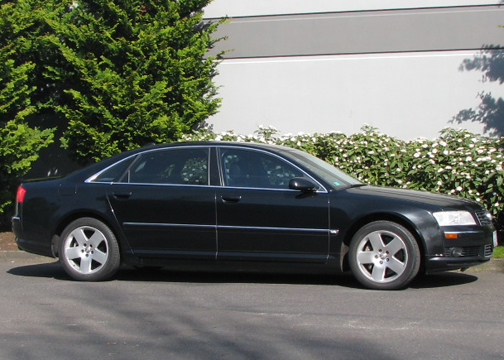 The first and most obvious feature is the fact that it runs on Bio-Diesel. The blend varies by the season but at the end of the day we are drastically reducing our carbon footprint with this vehicle. The whole conversion was done with a Eco friendly emphasis in mind. All materials used in this vehicle are renewable. Soy seats instead of leather. The floor is cork, and the built ins are bamboo. The bar top is even a reclaimed wine barrel. All of the electrical components (L.E.D. lights, fridge, stereo, dvd player, and air conditioning.) 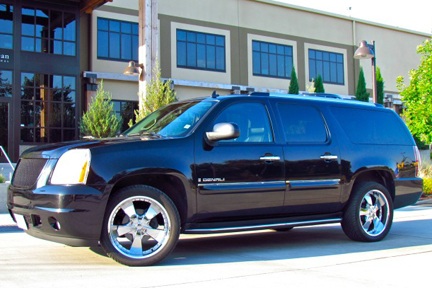 run on an electric inverter so the vehicles motor doesn’t need to be idling in order to operate the systems. 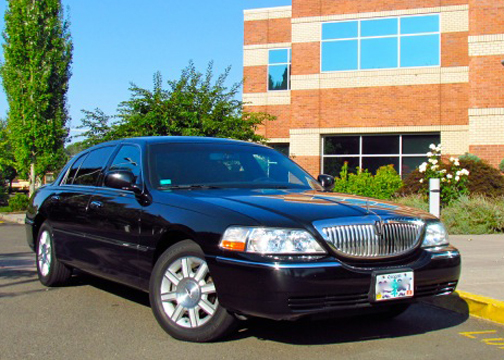 The next time you want to rent a limo, think green and try our “Eco-Limo”. 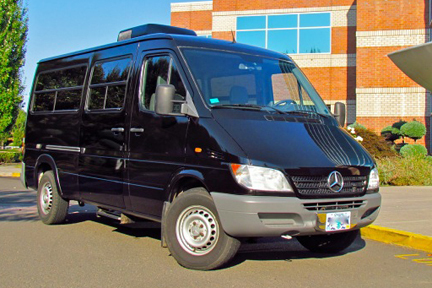 Our Mercedes Sprinter can accommodate up to 7 passengers in wrap around seating.